British championship and Isle of Man TT regular David Johnson is to make his North West 200 debut in May, riding for the Ice Valley BMW team. The Adelaide man has never raced at the seaside circuit but has competed at all the other international road races. 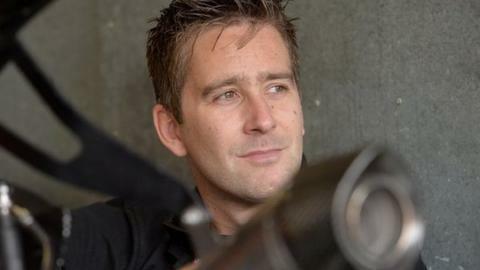 The 32-year-old will compete in the Superbike and Superstock classes. "I have always wanted to do the North West but the deal has always gone wrong at the last minute," said Johnson, who was fourth in the 2014 Superstock TT. The Australian has established a strong pedigree on both roads and tracks in recent seasons and is currently competing in the British Superbike series on a MotoDex BMW. His best results on short circuits have come in the British Superstock series where he has been a regular winner. Johnson finished fifth in the series in 2005, although injuries have hampered his final position in the overall standings over the last couple of years. Johnson made his debut at the TT five years ago and has also competed at the Ulster Grand Prix and the Macau Grand Prix. "It will be really important to get plenty of practice time at the North West and for conditions to be dry because I don't like riding in the wet on the roads." he said. "If I get enough time on the bike and I feel comfortable then I will definitely give it a crack. I don't have any real expectations but maybe a top ten is possible." Johnson's team boss Paul Shoesmith is equally enthusiastic about his North West recruit's abilities and had no hesitation in providing him with a bike. "David has ridden for me before at the Ulster Grand Prix and we have been good mates for a long time." said the Stockport man. "When I heard he didn't have a North West ride I stuck him on one of the four new BMWs I have this year," he added.